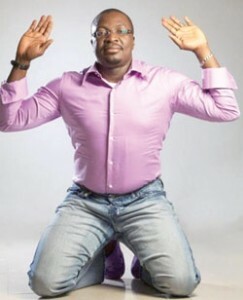 Ali Baba debuts as actor, features in Stage play - BlogIT with OLIVIA!!! Legendary comedian, Ali Baba, is billed to headline a new stage play, “Loud Whispers,” which will be staged on Sunday, May 1, to commemorate the workers’ Day. The play, an adaptation of the similar named book, written by Joseph Edgar, unconventional investment banker and theatre enthusiast will be staged at the MUSON Centre, Lagos. Featuring other talented thespians including Patrick Diabuah, Paul Alomona, Tony Okuyeme, Tony Offiong and Joy Ogbekene, will be performing a series of monologues through a mixture of dance and song. Particularly, Ali Baba in a genre crossing role, will be addressing current issues, throwing jabs at political and social actors, giving advices, an passing commentaries while entertaining and holding the audience spellbound in a typical fashion for which he is known.